Unlike other types of seasonal holidays, cruising is perfect all year round – whether you’re planning a summer, winter or autumn break. However, it is during the autumn and winter months that cruising is really at its best, allowing you to find some winter sun in the Caribbean, gaze at the Northern Lights in Norway or marvel at the fall foliage in Europe. To celebrate the new season, cruise liners and travel agents launch special offers, and October is the perfect time to find a fabulous cruise for a bargain price. In fact, The Cruise Lines International Association’s (CLIA) 26 members are all creating special deals to entice cruising enthusiasts and autumn/winter travellers. Just remember to do lots of research before you book anything, to ensure you have found the perfect deal for you. Beware, not all discounts will be as good as they look, for example free on-board credit sounds great in theory, but if the cost of the cruise hasn’t been discounted, you may not really be saving any money. You also need to ensure that the Cruise meets your holiday requirements, for example if you’re travelling with children, are there enough activities and other kids on board to keep them entertained? Whilst searching for your perfect cruise deal, just ensure you make specialist cruise insurance part of your to do list. Without specialist cruise holiday cover, you may be left vulnerable to holiday disasters like cancellation, cabin confinement and lost or delayed cruise attire. 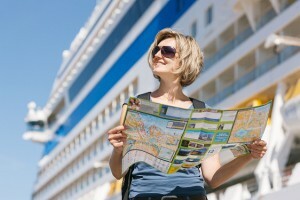 For more information on specialist cruise travel insurance, visit Holidaysafe.co.uk.